It’s a common practice, taking a trip to the doctor, handing over an insurance card, paying a copay, and then receiving a bill for the remainder of the payment that you owe as a patient after your insurance has covered some of the bill. Yet, what often goes overlooked is just how important it is for those medical professionals and offices to get credentialed with the insurance companies.According to many experts, as recent as just a couple of years ago, many professionals in the medical industry didn’t view this partnership and networking with insurance companies as a necessary step. But in today’s world of an ever-increasing number of people with health insurance, the credentialing of practices and health care professionals is growing even more critical to owners and operators. The journey to affiliation and being credentialed with insurance companies is one all medical establishments should undergo, and throughout the credentialing process, it’s important to keep the lines of communication open, just like you should with any personal or working relationship, with the insurance you are trying to partner with throughout the credentialing process. Once you’ve began the credentialing process and made it through the first phase—the phase you have the most control over as a medical professional since you are the one submitting applications to various insurance panels—you reach the second phase, the credentialing phase. Insurance companies have a tendency to misplace applications. They, like you, are human, and all humans make mistakes. But, as the idiom goes, it’s usually only the squeaky wheel gets the grease. If major problems are brought to insurance companies attention, then they pay attention to those squeaky wheels throughout the paneling and networking process. The only problem is this leaves many professionals stranded in the second phase of the credentialing period because either they don’t have a major problem or they aren’t squeaking loud enough to get on a company’s radar. Once an application has been verified, you’ve done all you can, and the credentialing process moves solely into the hands of the insurance companies, who then have up to six months by law to move the process forward. Occasionally, insurance companies and panels drag out that six-month timeline, making it difficult for medical professionals to have any control over the timespan. Because the third phase of the credentialing process involves the actual contracting with the insurance companies, it’s crucial to maintain constant contact with the insurance companies as you move through the process—particularly during the second phase. Constant contact is your best bet and hope to ensure your application continues moving smoothly and does so in a timely manner. This communication and follow up with insurance companies can take a toll on you and your practice. These calls can take hours of time and be frustrating. You may want to consider getting help from a specialized credentialing service provider. Communication is key in every relationship you are trying to start and maintain. 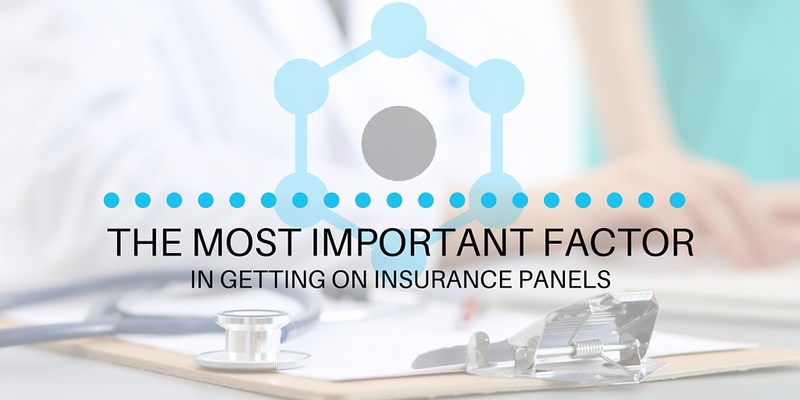 Don’t forget this important factor while you tackle the task of getting on insurance panels.